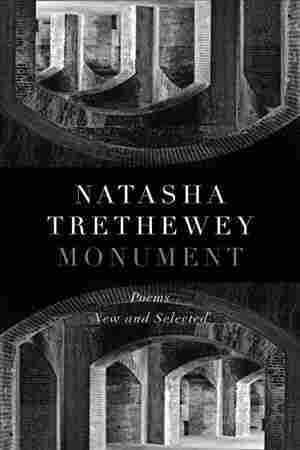 Natasha Trethewey: Poetry Speaks 'Across The Lines That Would Divide Us' The Pulitzer Prize winner and former Poet Laureate has a new collection out, called Monument, that takes on American history, personal history, and the lives that history and poetry often overlook. Natasha Trethewey — former Poet Laureate of the United States — has a new collection of poems out about American history, personal history, and the lives of people who are often overlooked by history and unsung in poetry. It's called Monument, and Trethewey says her own tragic personal history — her mother was murdered by her second husband — is part of what made her a poet. "It feels very much to me that out of the ruin of her life, I was able to fashion a life for myself," she says, "in which I not only survived but also thrived." My parents met at Kentucky State College, which is an HBCU — one of the historically black colleges and universities. My father, white boy, young like my mother ... he was from rural Nova Scotia and got out a guide to American colleges and universities to find one that he could afford. He found Kentucky State. He didn't exactly realize at first that they were a black college, but he went, and there he met my mother. My parents were constantly met with both subtle and not so subtle forms of intimidation. And when I was a very small child, the Ku Klux Klan burned a cross in my grandmother's yard ... I remember it only, it seems to me, because it was a story we told every year, I think in order not to forget it. At the time, my grandmother's house was across from the Mt. Olive Baptist Church, which was holding a voter registration drive to get disenfranchised African Americans registered to vote. The church didn't have its own driveway so my grandmother let them park the church bus in her driveway. We never knew if what happened — that act of terrorism — was directed at us, the interracial family living inside theh house, or at the church, for hosting this voter registration drive — or perhaps both. Not long after she died, I had a dream about her. In the dream, she said to me, "Do you know what it means to have a wound that never heals?" And I was a freshman in college, and I'm pretty sure I had never read [Federico García] Lorca, didn't know anything about the concept of duende. And in Lorca's notion of art, the demon that drives an artist, that sort of awareness of the possibility of death, he wrote, "in trying to heal the wound that never heals lies the strangeness in an artist's work." And I think in that moment, one of us was giving me permission, telling me I had that wound, and that's the wound that could make me a writer. Poetry asks, it demands of us in many ways, that we slow down. That we engage with language that isn't soundbites and uncivil, language that allows us to see ourselves in the intimate experience of others. To hear the rhythms of our own heartbeats in the rhythms of someone else's intimate voice, speaking across the distances. Speaking across the lines that would divide us. Reminding us not what makes us different, but what makes us alike, what we share. This story was produced for radio by Ned Wharton and Samantha Balaban, and adapted for the Web by Petra Mayer.